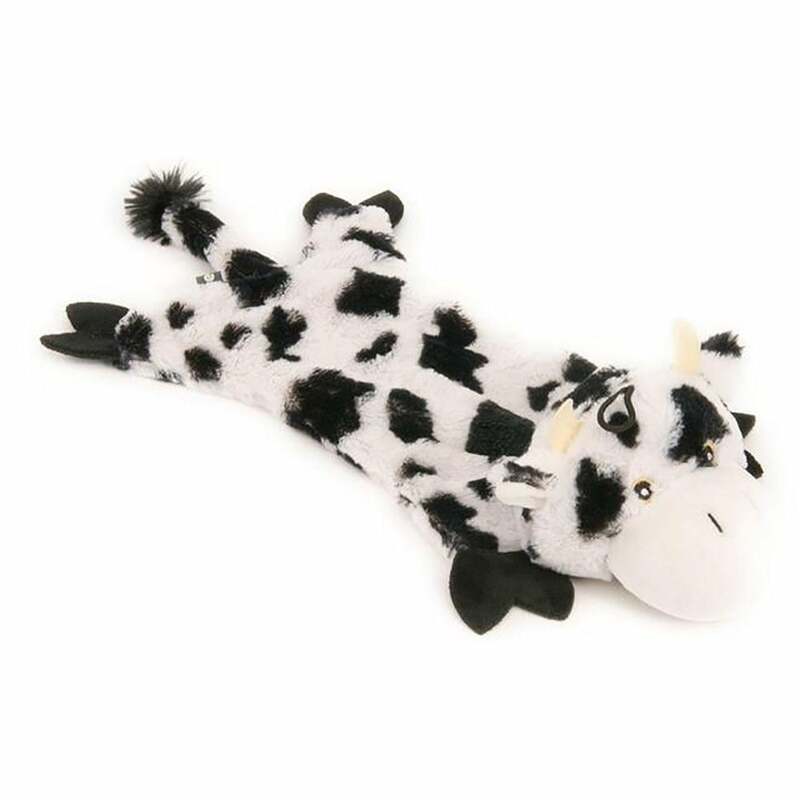 This Petface Farmyard Buddies Crinkle Flat Cow is a plush cow shaped dog toy with an unstuffed fleece body that generates a crinkle noise and has a squeaker. The head is stuffed and also has a squeaker. At approx 16" this toy is most suitable for medium-large breeds for play, training or as a companion.